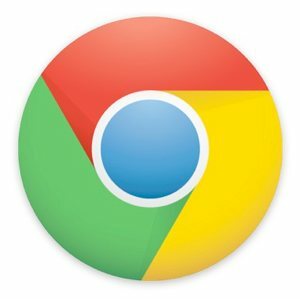 Google has released the latest stable version of Chrome (v18.0.1025.142 for those counting), bringing nine security fixes and more notably, enhanced support for graphically intensive applications. Previously offered in beta, the update officially introduces GPU-accelerated Canvas 2D (an HTML5 element) on "capable" Windows and Mac systems, but there's no mention of support for Linux. As you'd expect, the feature provides faster and smoother performance in games and other GPU-intensive Web applications, while reducing load on your CPU. I don't see an option to disable GPU-accelerated Canvas 2D in chrome://flags so I can't offer a performance comparison with the feature on and off, but I get around 50fps when rendering 1000 fish in Microsoft's FishIE Tank test. Additionally, Google has licensed TransGaming's SwiftShader, which should allow users with older machines to experience decent 3D performance with a software GPU. According to TransGaming's FAQ, SwiftShader offers 3DMark06 score of 320 with a quad-core 3.2GHz Core i7, which exceeds most integrated graphics solutions. The company offers a free downloadable DX9 Shader Model 3.0 demo. Low CVE-2011-3063: Validate navigation requests from the renderer more carefully. Medium CVE-2011-3057: Invalid read in v8. Medium CVE-2011-3058: Bad interaction possibly leading to XSS in EUC-JP. Medium CVE-2011-3059: Out-of-bounds read in SVG text handling. Medium CVE-2011-3060: Out-of-bounds read in text fragment handling. Medium CVE-2011-3061: SPDY proxy certificate checking error. High CVE-2011-3062: Off-by-one in OpenType Sanitizer. High CVE-2011-3064: Use-after-free in SVG clipping. High CVE-2011-3065: Memory corruption in Skia. Performance improvements aside, Google issued several thousand dollars in rewards for security fixes, with five "medium" flaws patched as well as three with a "high" severity rating. The update also includes the new Adobe Flash Player 11.2, which plugs many of its own holes. As usual, Chrome should update automatically if you already have it installed, or you can grab a copy from our download section.